Sleepy and dull appearances are often caused by eyelids covering pupils due to ptosis - weakness of levator muscle. surface of eyelid or eyelid creases is mandatory. of possible scar induced from incision, thick eyelid lines or asymmetrical eyes can result after surgery. Get natural double eyelid in short recovery! 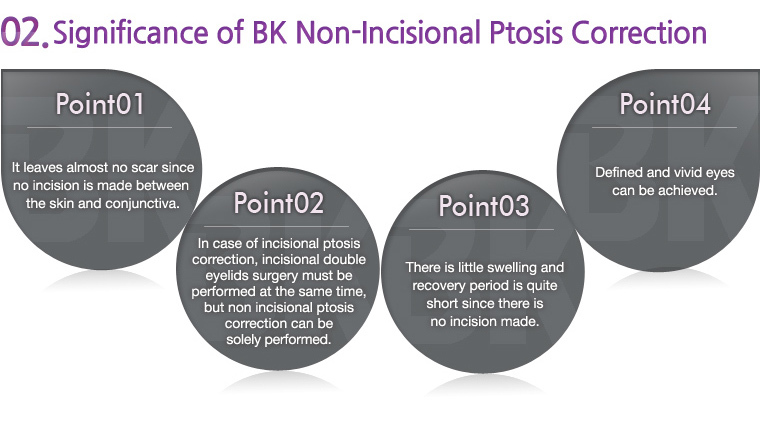 Non-incisional ptosis correction means that it literally corrects ptosis-levator muscle weakness- without any incisions. 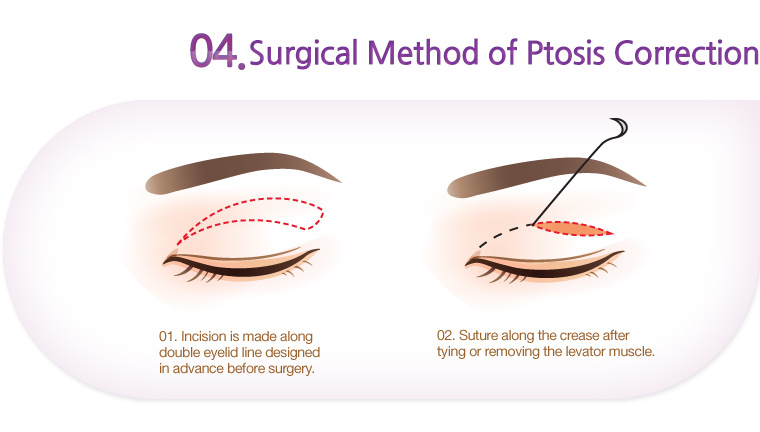 Of the two methods, a suitable surgical method will be chosen depending on the condition of each patient. eyelids. The strength to open eyes is stronger when the levator muscle is shorter. 1. Micro incision is made along double eyelid line. 2. The orbicularis oculi and tursus are pulled up after tying them strongly.